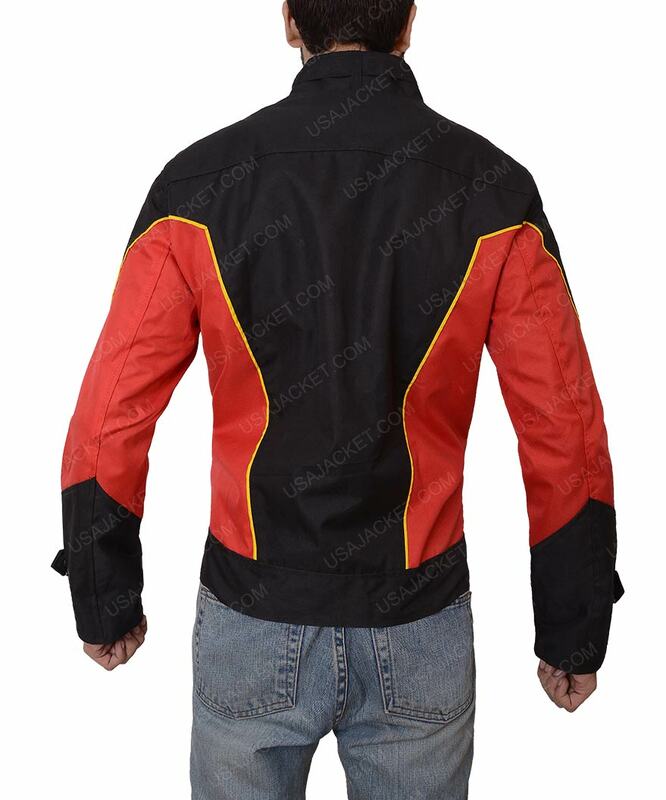 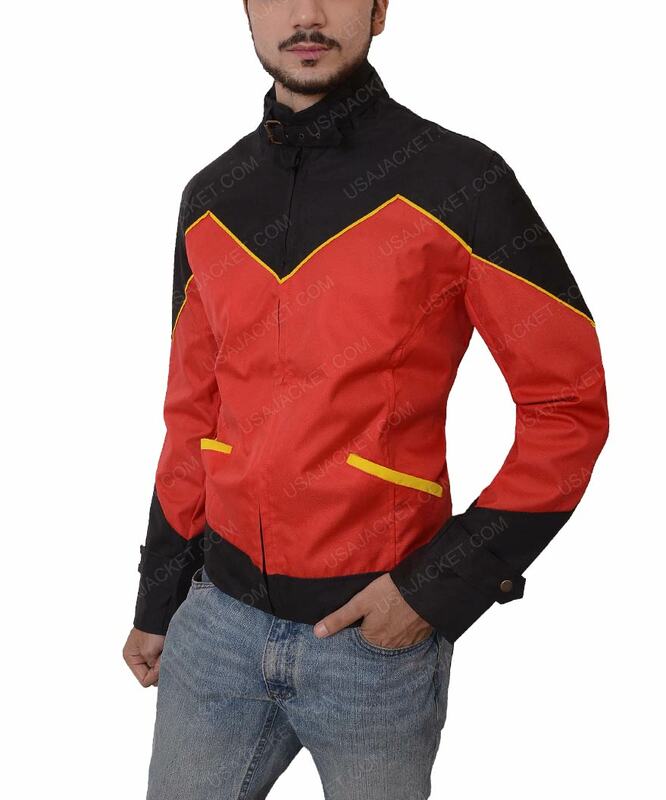 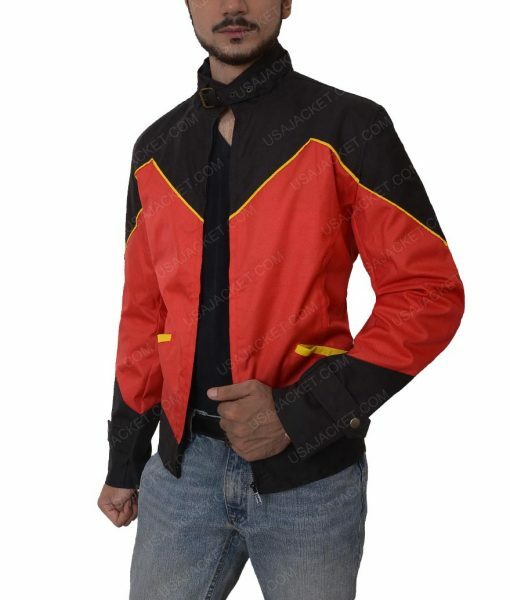 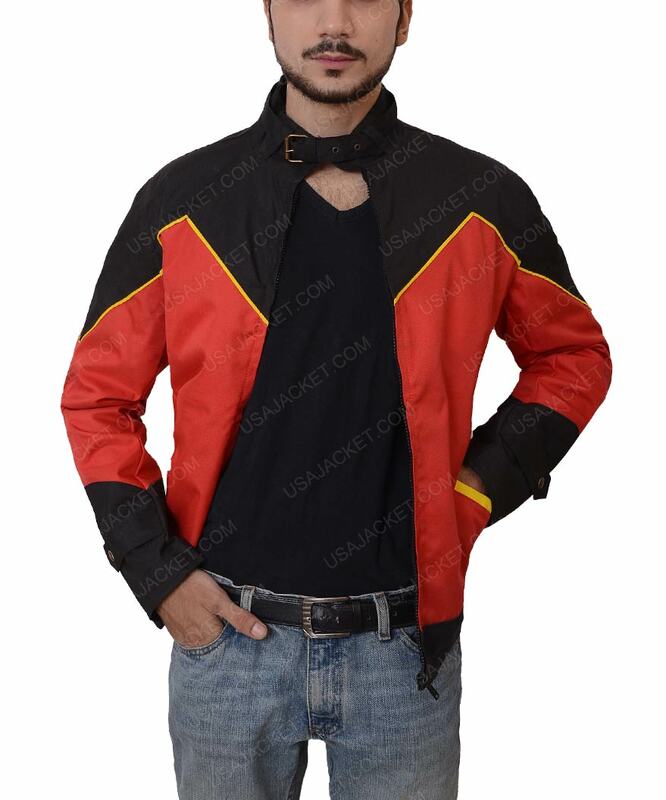 Red Robin Jacket is an inspiration from Comic books, it belongs to the side kick of batman who is tough as Robin. This outerwear has splendid appeal in red in color. 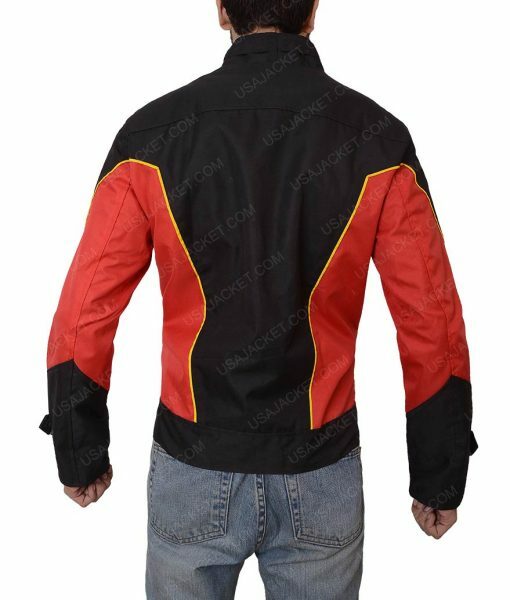 Robin Leather Jacket is produced in PU leather. 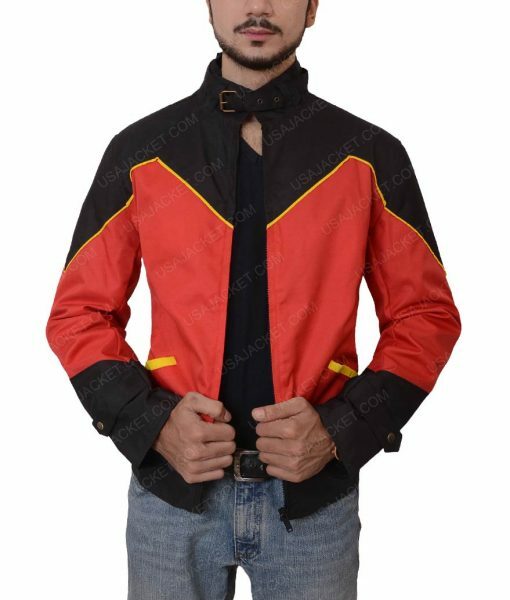 It includes Robin logo on chest, design with yellow stripes on front, buckle style collar with front zipper closure, one zipper pocket on chest, two side pockets on waist design with yellow strips, long sleeves, this apparel is Red and Black in color.